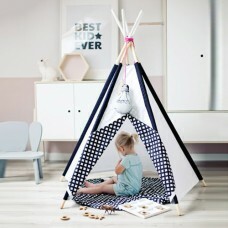 The teepee is a perfect place to play, read or solve jigsaw puzzles. It is a retreat where kids are free to build their own little world, protected from sunlight and wind. The entrance, made from two layers of cotton, can be closed. This play tent is perfect for use at home, in the garden, on the terrace, on the beach or at a picnic. Thanks to its simple construction, it can be set up and folded easily. 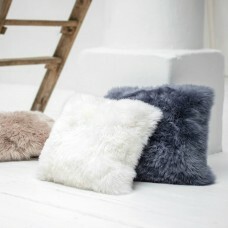 Since it is made from natural materials (cotton and wood), it is airy and does not get hot inside. 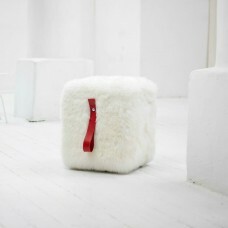 It takes up little space when folded and the included case allows it to be transported easily. The pine poles that make up the framework have rounded tips and are hidden in sleeves in the fabric. Fully set up, the teepee stands about 160 cm tall. The thick, soft, quilted mat is made from cotton and has a layer of anti-allergic, nonwoven polyester fabric inside. It is attached to the framework with straps at the corners. The mat and the fabric of the tent can be detached from the framework and machine washed Made from colourful cotton and decorated with attractive accessories, the teepee will add cosiness to any interior. 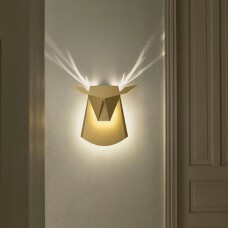 It is a unique decorative element for a living room or a child’s room. The product is made in Poland. 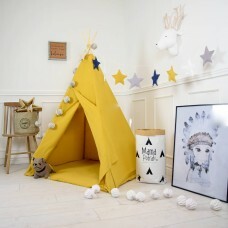 Each teepee is made by hand from high-quality materials. Special attention is paid to each detail. The mat and the fabric of the tent can be detached from the framework and machine washed on the left at 40°C. Spin max 800 revolutions per minute, do not dryclean, do not bleach.